Raising awareness about prematurity, ADHD, and Autism Spectrum Disorder is important to me. By sharing our story, I hope that I can help at least one family keep hope for a positive outcome. But, the wider the audience, the greater chance we have of making an impact for even more families. I’m available for speaking engagements, classroom presentations, guest blog posts, and articles. Occasionally I will provide sponsored posts or affiliate links to products that I’ve used and recommend. If you decide to make a purchase through the link, Amazon will pay me a commission for it. This doesn’t cost you anything additional. These commissions help to keep food on our table, so thank you! Contact me at JaxMully@hotmail.com for sponsorship rates and to discuss guest posting. To contact me, hire me, ask a question, share your story, propose a sponsored post or product review, or get permission to use any of the content on this blog, send an email to JaxMully@hotmail.com, or find us on Facebook. I just wanted to say that your story is amazingly familiar. 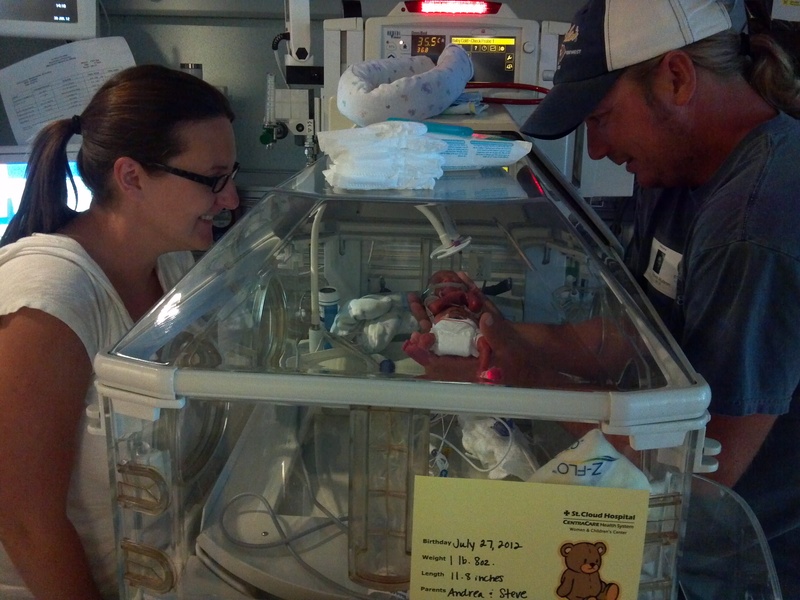 My daughter was born January 12 at 24 weeks. Her due date was May 1. She was 1lb 12oz and today she weighed in at a whopping 8lbs 1 oz. We are still in the hospital at about 123 days and counting. Her Chronic Lung Disease is currently our biggest fight. It took her a long time to come off of the vent after she was reintubated at 11 days old. I write daily about our experience and have found it very cathartic. Thank you for taking the time to write. Wow I don’t know you or your family but you couldn’t imagine how close I feel to y’all my Lil boys name is Jaxson Stinson (Jax) he was only 25 weeks he was 1lb 8 oz an was in the hospital until he was 10 months old he now is home but with a Trach an a G button in his belly he has had heart surgery an lots of other things when I saw ur Jaxs pic I almost cried I saw my Lil boy Thank you for posting your blog it let me know that we are not the only ones going threw this pain! It just amazed me how much our stories were the same!!!! Andrea… I came across your blog on pinterest and have been trying to catch up!! WHAT!? I thought I was already a follower! HA… but since I haven’t been on FB, I haven’t been up to date on much! I mean, FB is like the local news channel, right? 🙂 Anyways, you have an amazing style of writing and expressing so many personal feelings ~ While I haven’t experienced the challenges and adventures of a micro preemie, I want to Thank You for everything that you share about it!!! Honestly, not having known anyone having gone through this before you, it is so moving and rewarding to hear the amazing success stories of Jax!! Not to mention the hurdles you & Steve’s have accomplished as parents too…I love the blog, it’s so inspiring. Thanks for sharing! Hope Jax is recovering well from his last surgery! Cheers!